PBSI Group announces that it has sold its specialist earthing and safety equipment division, P&B Weir Electrical, to the French electrical business Novarc Group. After a successful relationship of more than 26 years, P&B Weir Electrical, based in Corsham, Wiltshire, UK, has grown and prospered as part of the PBSI Group. 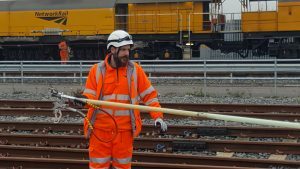 The company is now a globally recognised supplier of portable earthing and safety equipment and recently achieved 100% Supplier Performance to Network Rail. Under its new ownership at Novarc (www.novarc.com), the company and its 38employees will continue its design and manufacturing operations, and is committed to maintaining its industry leading quality standards for its customers in power transmission and distribution, rail and transportation. PBSI Group continues to grow its Protection Relays and Switchgear operations from its headquarters in Manchester, UK.